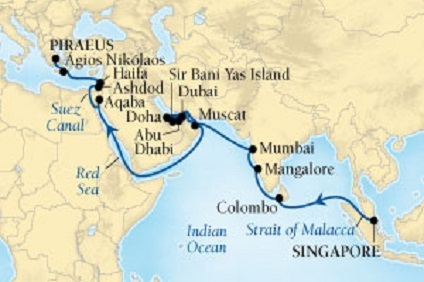 44 Night Cruise sailing from Singapore to Tilbury aboard Vasco da Gama. 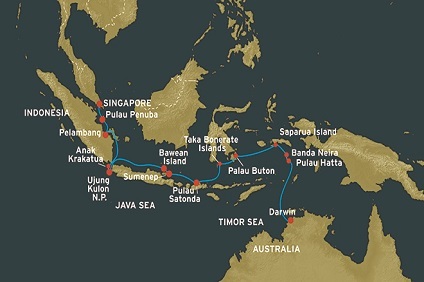 46 Night Cruise sailing from Singapore to Amsterdam aboard Vasco da Gama. 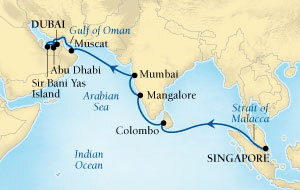 47 Night Cruise sailing from Singapore to Bremerhaven aboard Vasco da Gama.